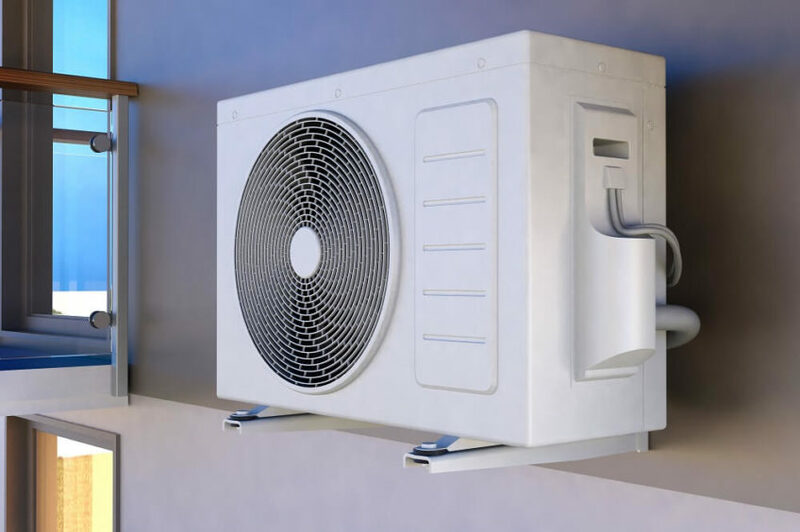 Given the high temperatures of summer, you will agree with me that air conditioners have become a necessity for our homes or our short-term rental. It becomes unbearable to cope with the humidity of summer when our air conditioners stop working because of technical malfunctions. Needless to emphasize, the high cost of air conditioning repair could be an extra burden on your finances. However, you need to keep a watchful eye on your air conditioning system to avert any of the problems associated with this electronic device. The following are some common issues and how they can be fixed. There will be a significant alteration in the temperature of an air conditioner in the case where the refrigerant quantity changes. The refrigerant is the liquid that controls the temperature of an AC. When these leakages occur, there will be trouble sustaining a constant temperature flow in the air conditioning unit. When you are faced with this problem, it’s obvious you need to seek the services of a trained technician for the air conditioning repair. The expert not only diagnoses the problem but recommends the most appropriate quality and quantity of the cooling liquid that is needed to redress the situation. This drainage problem is commonly associated with obstructions like dirt that interfere with AC pipes, which automatically blocks the drainage pattern. It may be very damaging to your air conditioner, given the leakage of water. In a situation like this, air conditioning repairs need to be done immediately. The wise thing to do is to free the drainage channels of every obstruction. Needless to mention, you need a pair of expert hands for this job. To be on the safe side, the drainage pipes should be monitored by technicians periodically. Compressors are coils or fans that initiate cooling in an air conditioner. As they spin, the refrigerant in the AC unit regulates cooling via the exchange of air with different temperatures. It is also of importance to understand that the right quantity of refrigerant liquid needs to be available for the compressor to properly function. Too little or too much of the refrigerant will result in a breakdown in the coil, so you should always consult a trained technician when making use of the liquid. It is also recommended that the compressors and other sensors panels of an AC be checked during every air conditioning repair session. It is essential to ensure that the filters of the air conditioning units are cleaned consistently in line with the descriptions of the developer. This will avoid freezing or awful stench from the air conditioner. Several filters have different time frames within which they need to be checked and cleaned. A trained technician can be of help, in this case, to avoid any mishaps that may damage the electronics. Congested filters can significantly alter the amount of air that will be released from the air conditioner, thus affecting the comfort of your home. AC capacitors are the main power source of air condition compressors. This implies that with malfunctioned capacitors, the compressors will automatically lose their ability to regulate air in the AC unit. There are two types of capacitors: the start and the run capacitors. The former stimulates the air condition motors while the latter enables the smooth running of the AC motors. In a case where either of the capacitors is’’ incapacitated’’, you will need to opt for urgent air conditioning repairs to keep your AC running, and properly too. I assume your comfort is of utmost priority to you and it wouldn’t matter if you have to spend a few dollar bills to ensure that your air conditioner unit is always intact. This is the best decision you could ever make for the luxury of your home. Trained air conditioning technicians are just a phone call away. All you need do is, dial the number and someone amazing will talk to you.